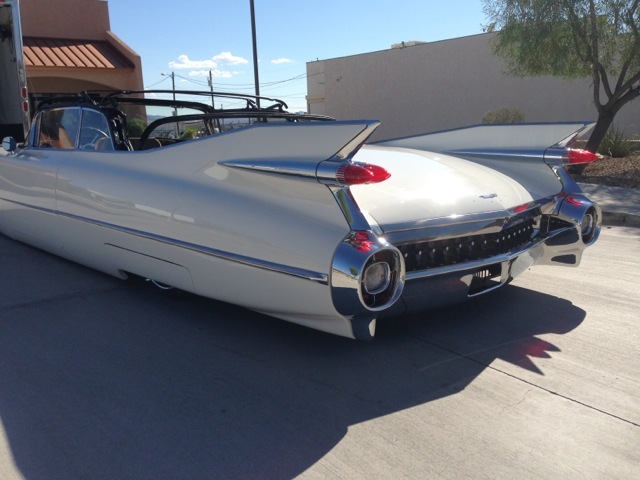 Heard of Sic Chops out of Lake Havasu, Arizona? 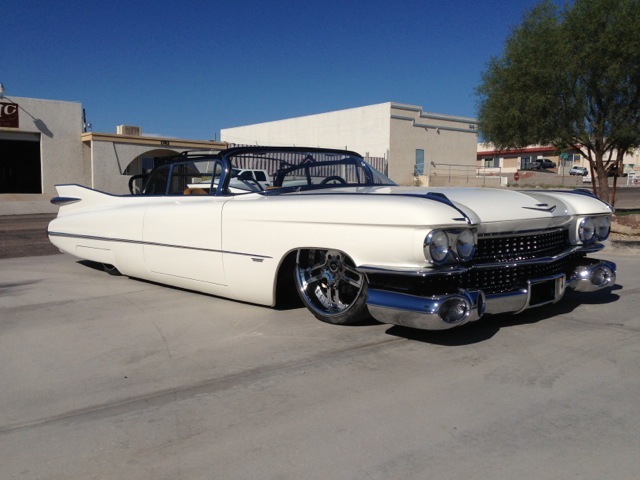 If you’re a fan of custom cars, especially custom Cadillacs, then you should have! 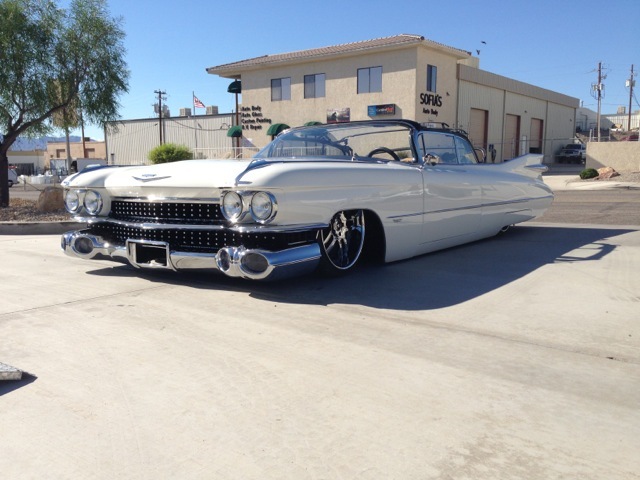 I met Scott Laitinen, owner and super cool dude at the Scottsdale Goodguys show where him and some pals were demonstrating how a new-build 1960 Caddy was only 8.5 Beer Cans Tall! Well, he’s at it again! 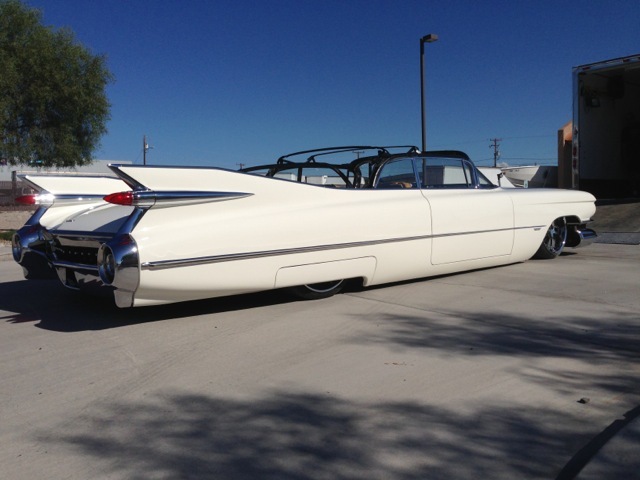 His latest creation is a 600 HP Cadillac LSA powered 1959 Cadillac sporting 2 inch chop off the convertible top. 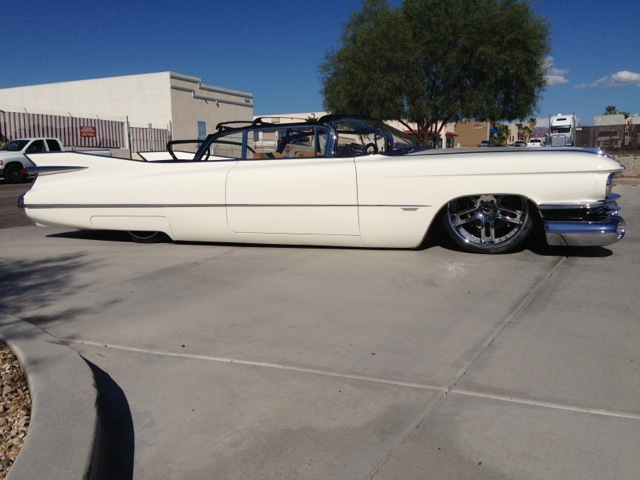 Not bad… HELL, this thing’s Sic! Look closely and you’ll see that there’s a few finishing touches yet to finish… when I can grab the details and ask Scott about the owner and why, “My Ride is Me” I’ll update this story. Until then, make sure to check out the SIC Chops homepage and to leave a comment below. Which Cad’s cooler? 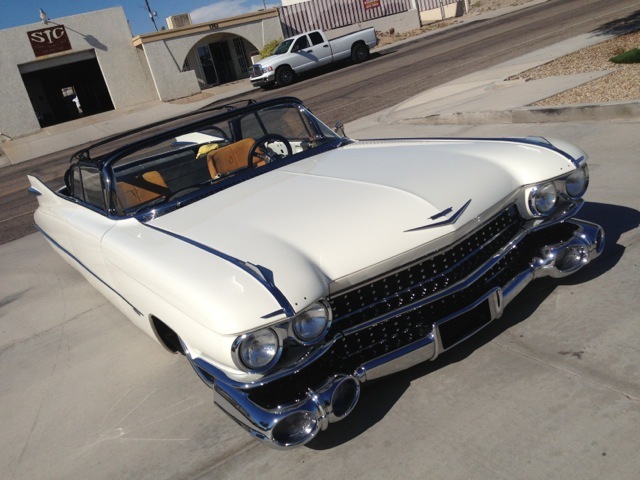 This 1959 or hammered 1960’s Cadillac?